Ever had that sinking feeling when you have been assigned a hymn to prepare for an upcoming event, and you know your choir isn’t brilliant but they’re willing enough, and you have very little time to get it all together? I have no idea why Stake Presidencies choose the musical numbers for Ward Conference these days, but they do and we have little choice but to do the best we can. Or maybe we do have lots of choices, only limited to the song we are assigned. 1. Use string/woodwind instruments as part of your accompaniment. 2. Have the men sing the melody in one verse whilst the women hum/sing the tenor line over the top. 3. Sing accapella for one verse. 4. Just the men sing one verse. 5. Just the women sing one verse. 6. Stagger the entry ie one/two people being the hymn, more come in half way through and keep adding (is fantastic for If You Could Hie to Kolob – with violins doing the alto part). 7. Invite the congregation to join in singing with the choir for the last few verses. 8. Alter the dynamics (loud and soft) for a dramatic atmosphere. 9. Does playing the piano or the organ change the tone of the hymn? 10. Try one verse in a minor key (ie one of the verses in A Poor Wayfaring Man of Grief sounds great in minor, and although it is a gorgeous hymn, it is so long it needs lots of variation). 11. Try using a smaller group of voices (ie duet or quartet or double quartet). 12. Transpose the key on the last verse, or the second or third… wherever you feel it is appropriate. 13. Add a solo vocal/instrumental descant. 14. Have one person sing whilst the rest of the choir softly hums the other parts. 15. Have a women’s choir singing 3 part harmony. 16. Have men singing 3 part harmony. 17. Have someone narrate the words into the microphone over the top of an instrumental accompaniment (one of the instruments needs to be doing the melody). 18. Change the tempo of one or two of the verses (again, depending on the appropriateness of the mood). 19. Change the voices around ie all the women to sing the melody whilst the men sing their parts, men sing the melody while the women sing the tenor/alto parts. A primary child to sing the melody whilst the rest of the choir sing the 3 parts underneath. 20. Keep the hymn simple and the vocal part the way it is, but alter the accompaniment underneath. There are some fantastic books that do just that: The ‘Hymnplicity Ward Choir’ books arranged by Brent Jorgensen come to mind. They are so easy to throw together if you have someone able to play the piano arrangements. I totally know that feeling. 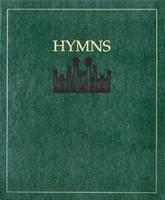 I sometimes don’t understand the chosen hymns, or why they have to be ‘just hymns’. But then, I like having a challenge to make it sound brilliant.